Enigma. I’ve always loved that word, from the Greek ainos, meaning fable or riddle, also from ainissesthai, to speak obscurely or in riddles. A word raised to prominence by that scoundrel Churchill who depicted Russia as “a riddle wrapped in a mystery inside an enigma”. 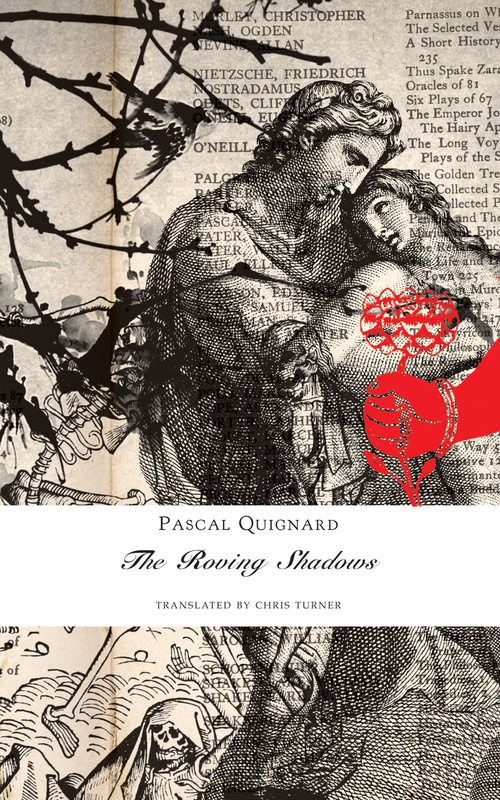 It is the word first to mind as I read Pascal Quignard’s The Roving Shadows, and then promptly read it again. The Roving Shadows is a political text, a paean to literature and language, and work of poetic prose. It meanders through myth and history like an autodidact pulling volumes from a library and bookmarking passages for later consumption. Writing is not a natural way of being of natural language. It is a parlance that has become language-to-be. In times past, in the first neolithic empires, writing wrested prehistoric humanity from the worlds of dreams and the imagination. Pregeneric humanity was buried in its picture caves, as in its dreams. Beyond oral, admonitory, hypnotic, mythic language, generic humanity caused isolated language to blossom-in the form of letters. Beginning with the written word, that humanity produced a more lonely parlance, language without context, an inner language, secrecy, an entirely new area of shade. I’ve struggled to write about Quignard’s book, so I urge you to read Stephen Mitchelmore’s review, and this review is also worthwhile with its comparisons to Nietzsche and Chateaubriand. The Roving Shadows is extraordinary in its originality. It is the first in Quignard’s Last Kingdom trilogy.